"The CMHC report dispels the view that Toronto condo owners are mostly speculators who have an eye on flipping their units for a quick profit. 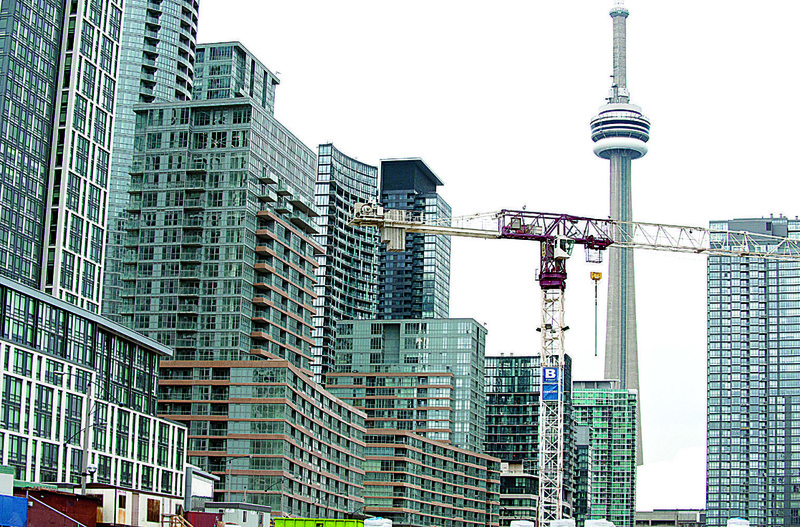 The federal housing corporation surveyed 42,191 domestic condo owners in those two cities last August and September and found 83.8 per cent actually live in their unit. The other 16.2 per cent own a primary residence and at least one condo, and about 52.3 per cent of those units were rented out. Some 33 per cent were occupied by family or friends and about 7.6 per cent were sitting empty through a combination of being for sale, yet to be rented or under renovation, says the Condominium Owners Report released Friday, an update of a survey first done in August of 2014. About 4 per cent of those investment condos were yet to be built or under construction, according to the survey, which only looked at a portion of domestic owners and excluded foreign owners, corporate investors and Canadians who own condos in Vancouver or Toronto but live outside those cities. The results illustrate that most COS (Condo Owners Survey) investors own few units. In fact, nearly three-quarters of COS investors own only one secondary unit, while 10 per cent own three or more secondary units,” said Dana Senagama, CMHC’s principal market analyst for Toronto in a statement. But the report also hints at a significant slowdown in investor activity among domestic condo purchasers. Some 90 per cent of those surveyed have no intention of buying another unit within the next year, the survey found. The survey is yet another attempt by the federal housing agency to get a grip on exactly who owns condo units, in part to allay any fears that the condo sector could be in trouble if housing prices flatline or slip and investors – who are widely believed to own anywhere from 40 to 90 per cent of units, especially in some downtown condo towers – start selling off units in a mad panic. The survey found, in fact, that many domestic owners surveyed have had their last unit for at least six years."